As much as we get in and out of them, airplanes might seem as simple as cars... but they definitely carry additional safety considerations for all of us--pilots, skydivers, observers, and loaders. Saving your life with a parachute is great fun... here are articles on how to do it better, safer, and smoother. "From the Fishbowl" is a series of short articles by U.S. National Judge Randy Connell, and it is intended to educate competitors about commonly misunderstood or little-known rules of formation skydiving. References will often be made to the Skydiver’s Competition Manual (SCM). Skydiving skills come naturally to some of us, but not so much to others. And skydiving safety is not always intuitive, especially if you don't have a background in aviation. Learn more about how to skydive safely and effectively with these tips. Learn more about your skydiving gear, from common problems and errors to maintenance, packing, and gear selection. 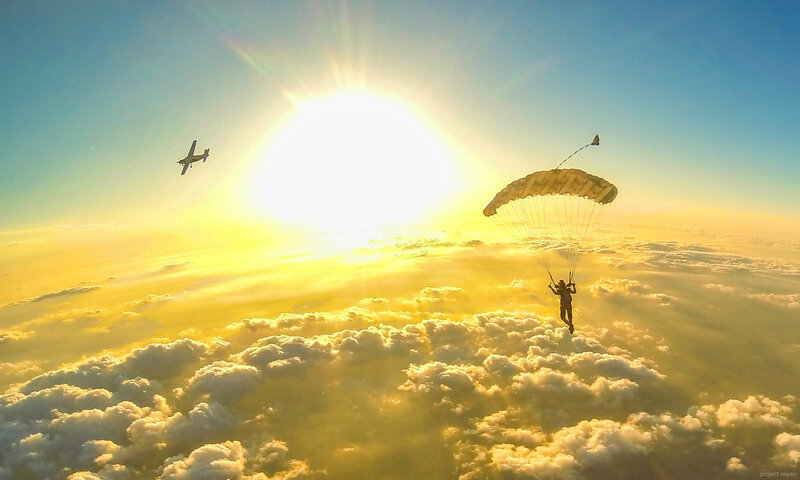 Are you learning how to skydive, or do you want to? You're in the right place at Skydive Spaceland's Skydiver Training Program! Following are some tips to help you make your training more efficient and effective. As always, feel free to talk to our instructors or call us at 512-488-2214 with any questions.